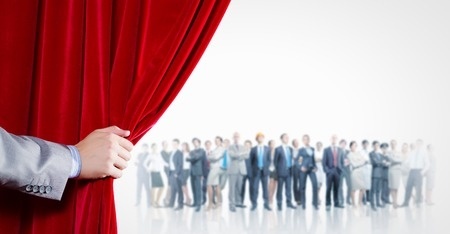 When it comes to moving audiences, your most important element is your opening. 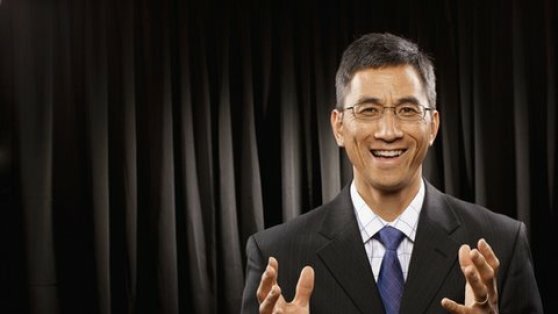 Here's how to start a speech powerfully and successfully every time! Let's talk about how to start a speech. When it comes to persuading, inspiring, or influencing an audience, your opening is by far the most important moment in your performance. So how do you begin a presentation in ways that will get an audience on your side and start you on the road to speaking memorably? Let's imagine that you're finally pitching to that audience of decision makers. It's the high-stakes opportunity you've been waiting for, and you've put together a killer presentation. There's just one problem: how do you start the thing off with a bang? Can you combine interesting material with powerful delivery skills? 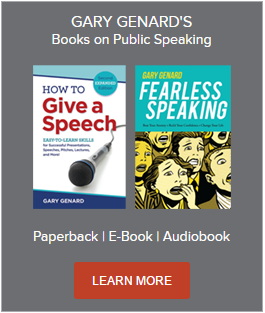 To learn how, download my free Insights article, "Great Speaking? — It's About Performance Over Content!" You probably already know you need to begin with power and purpose. You're just not sure how . . . or for that matter, exactly why. The answer is that, when it comes to influencing listeners in speeches and presentations, two concepts explain why your beginning and ending need to be particularly strong. I'll discuss both concepts here, then provide some powerful tools for your opening gambit: your speech Introduction. Ready to set your audience on fire? The two concepts concerning why you need to start and end strongly, are primacy and recency. Primacy states that people remember most vividly what they hear at the beginning of a speech. Recency says those same people will strongly recall what you say at the end. In terms of public speaking, this translates into your introduction and conclusion. And you really do need to start early. Here's how to create a greeting your audience will remember. (1) Audiences make judgments about you and your message in the first minute. After that point, you'll be able to change those opinions about as easily as you can change a hamster into a ham sandwich. So here's how to be strong in the first 60 seconds of your speech. (2) Your opening sets the entire tone of your presentation (including whether you'll be interesting or not). (3) This is when you introduce your message and tell the audience why they should listen. Sound like a tall order? It isn't, if you use the right techniques. Your audience needs to be both fully engaged and predisposed favorably toward you and your message. Neither will happen unless you can grab their attention, so they're onboard when you spin your verbal magic. You should spend time beforehand, of course, knowing how to organize a business presentation. Achieving the objective of a 'grabbing' opening takes thought, a bit of imagination, and yes, a little creativity. The good news is that since you know your topic well and you're psyched up for the big game (it's an audience of decision-makers, remember? ), you should be well positioned to succeed. Primacy won't have much of a chance to operate, though, if you use what I call the 'Today, I'm going to talk about . . .' opening. This is boring! Be on the lookout instead for something that will pique the interest of your listeners, and perhaps surprise them. And what about that advice of always starting out with a joke? Well, here's my take on the question "Should you start your speech with a joke?" A few minutes of focused thinking should be all you need to come up with an effective opening. And remember to avoid that I call introducing your introduction. That sounds like this: 'Let me start out with a story . . .', or, 'I heard a very funny joke the other day . . . ' Or even the inexplicable 'Before I begin . . . ' since you've already begun! Just tell us the story, the joke, or the in-the-know reference that will delight your listeners. But if you signal your effect beforehand, you water down its potency and its power to surprise. So how can you be completely focused and on your game? You could literally think of dozens more from your own expertise and experience or that of your audience. Remember, the best grabbers engage an audience immediately, both intellectually and emotionally. Interestingly, these same devices can be used to conclude in a way that keeps your audience thinking about what you said. 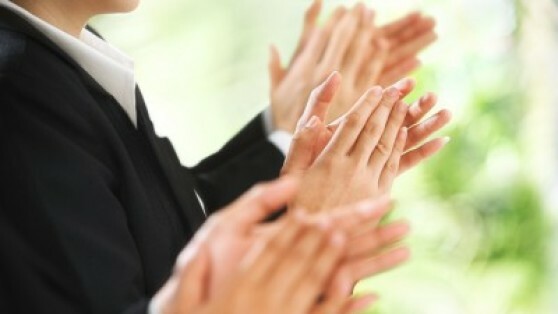 For more on ending strongly, see my related article on how to end a speech vividly and memorably. Coming up with an exciting grabber and clincher involves some work on your part. But the rewards if you're successful more than justify the effort. Jesus, Sermon on the Mount: "Blessed are the poor in spirit: for theirs is the kingdom of heaven." — Startling statement. Jane Fonda in her TED Talk "Life's Third Act": "There have been many revolutions over the last century, but perhaps none as significant as the longevity revolution. We are living on average today 34 years longer than our great-grandparents did. Think about that: that's an entire second adult lifetime that's been added to our lifespan." — Statistic. Steve Jobs, 2005 Commencement Address at Stanford University: "Truth be told, I never graduated from college, and this is the closest I've ever gotten to a college graduation. Today, I want to tell you three stories from my life. That's it, no big deal—just three stories. The first story is about connecting the dots. I dropped out of Reed College after the first six months, but then stayed around as a drop-in for another eighteen months or so before I really quit. So why'd I drop out? It started before I was born." — Story, with a seamless transition into his speech. This blog was originally published in 2012. It is updated here.